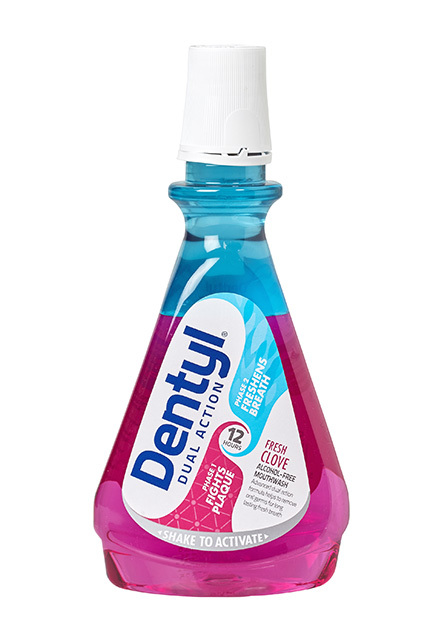 Dentyl Dual Action is a distinctive alcohol-free mouthwash with an advanced two phase formula to fight plaque and freshen breath for up to 12 hours. Simply shake to activate, then swish and rinse. 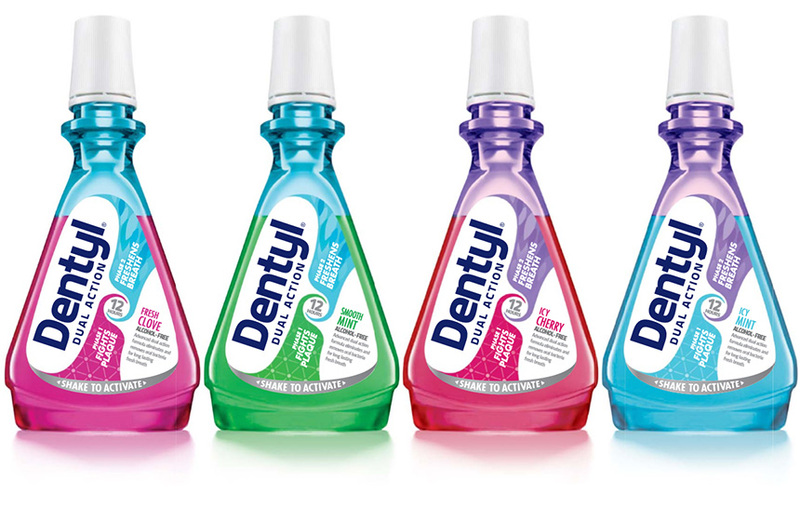 Dentyl Dual Action will lift bacteria and plaque from teeth and gums. For visible proof, look in the sink! 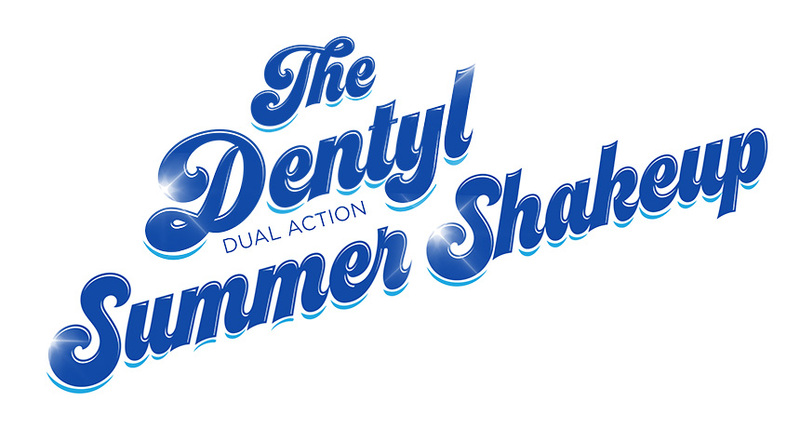 It’s the two phases that makes Dentyl Dual Action so effective yet gentle. Aqua-based antibacterial phase one helps remove bacteria; phase two contains natural essential oils that help gently moisturise oral tissue. 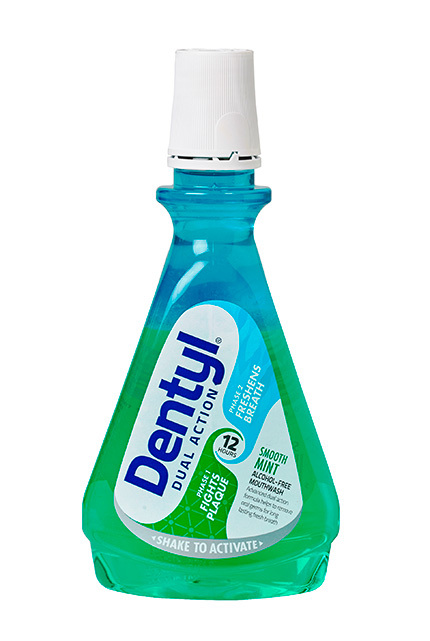 Because it’s alcohol-free, Dentyl Dual Action doesn’t sting or dry out the mouth. It contains fluoride to support healthy teeth and gums and is clinically proven to help freshen breath for up to 12 hours. Dentyl Dual Action is recommended by dental professionals around the world. Use as part of your daily oral care routine or for extra fresh breath confidence, such as before an important meeting or date. 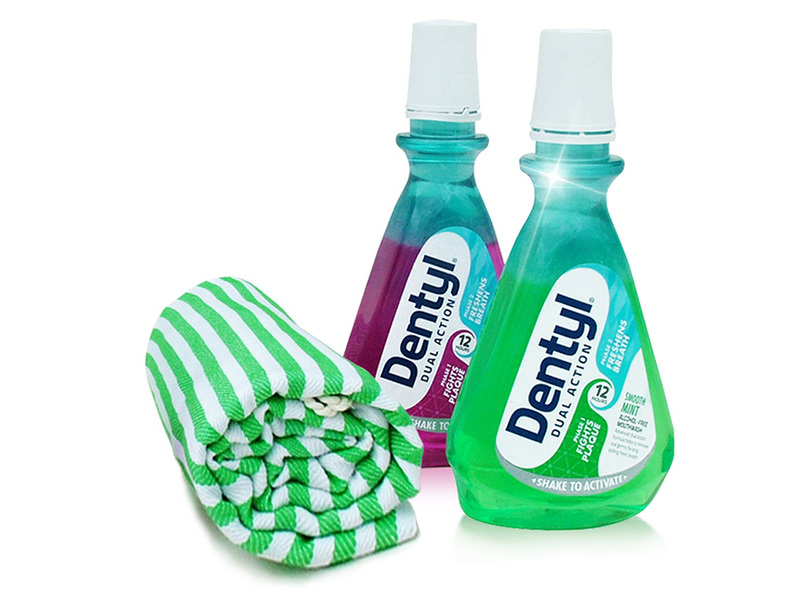 Dentyl Dual Action is suitable for adults and children six years and older. It comes in four flavours: Fresh Clove; Smooth Mint; Icy Cherry and Icy Mint. The 500 ml has a recommended retail price of R82.95 and is available from Dis-Chem, Clicks, selected Pick n Pay, Checkers, Spar & pharmacies. Dentyl Dual Action is distributed by Ivohealth. For more information visit Ivohealth’s website – www.ivohealth.co.za, contact 021 448 2677 / info@ivohealth.co.za or follow @ivohealth on social media.